I’ll admit writing your CDL examination can be tough, but if you know what to expect you can actually take some pressure off. I’m surprised at the amount of people who are NOT simply doing enough research before getting started. For example, you have so many resources available which will guide you down the right path making sure you know what to expect when getting started. Online, for example, you can find practice tests for all states, fee schedule and even employment information. However, you need to make the effort, and look for this information or you’ll simply go into the test blindsided. With that said, if you are deciding to go into trucking than it’s important you stay prepared at all times. This means making sure you have everything covered from requirements, medication examinations, and most importantly your CDL license. It’s also important to note that depending on the type of career your applying for you’ll require endorsements which I’ll be discussing later. 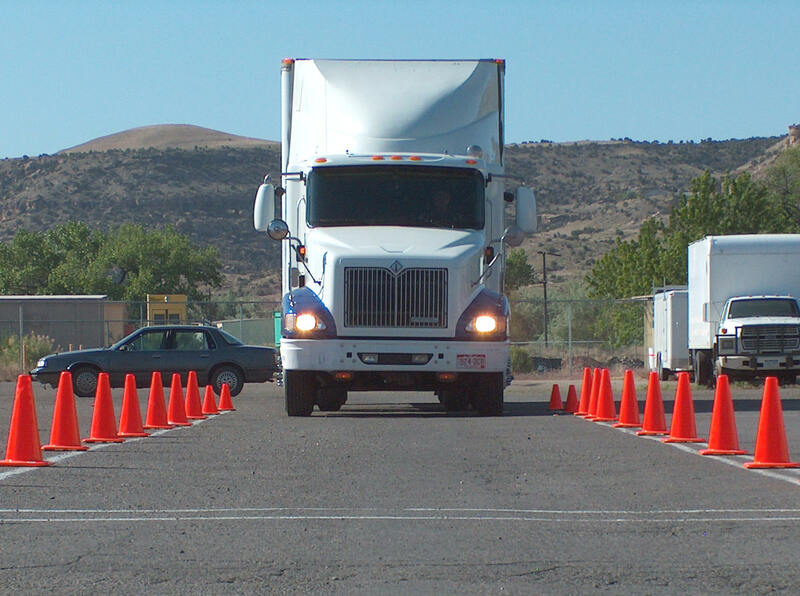 Let’s jump right into: What you need to know before writing your CDL examination. As mentioned above CDL examinations come in many different formats. This means depending on the type of license your applying for you’ll need the obvious knowledge exam, and additional endorsements. For example, if you plan on hauling hazardous materials you’ll need the HAZMAT endorsement. For driving a school bus you’ll require the passenger endorsement, etc. Obviously, you’ve done your research, and know what trucking industry you specifically want to get into so make sure you know the requirements as they apply to your employment. You won’t be able to get a job in hauling hazardous materials without the appropriate endorsement. In short, make sure you know what the strict requirements are before you get started so you don’t get a serious shock when you apply for a job, and are in the interview process. 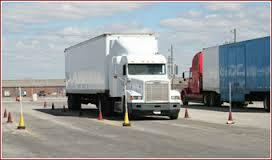 The cool thing is the CDL examinations required and tests are readily available online. 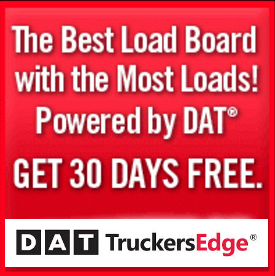 Before you would have to purchase books and PDF files, however there are numerous sites which provide free CDL practice tests for future drivers. 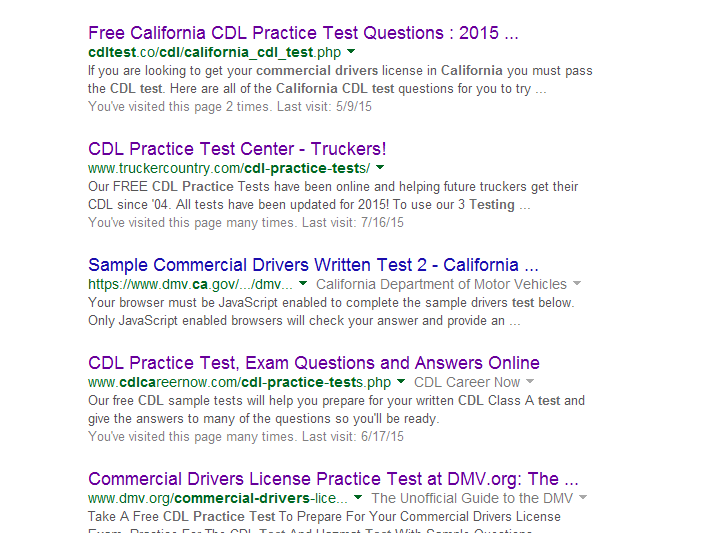 Start by heading over to Google and typing “CDL practice test” and you’ll find a handful of solid ones. By simply looking over the website you can prepare yourself for the examination, and ask your doctor about the medication you are on. Next, if you suffer from a serious condition then you’ll save time not writing exams because it’s going to be really tough for you to secure a job either way. 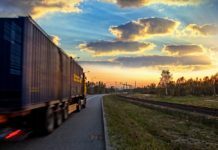 The United States is a huge place, and this means in order for them to regulate the entire trucking industry much of it is left to the individual States. This is great because things can get done more quickly however it can also be a pain for those looking to write their CDL. You have to be careful what information you read online because it can be misleading since it depends on different States. I recommend always keep a close eye on your States DMV and read the relevant information. This will ensure you have the right information at all times, and will write the correct exams. Some States might have a different endorsement, general knowledge, etc requirement and will save you enormous time NOT having to write exams which you don’t need. However since the “medical requirement” is a Federal regulation you can rest assure that is something which is required by all drivers no matter where you live. You’ll notice you have several choices to select. Skim through each one going over each question because they all help in getting you ready. Keep in mind tests do cost money, and for some people this might be a problem. Not everyone is financially sound so it’s important to know what to expect before getting started. The last thing you want to do is study and can’t effort the test period. This is why it’s important to do your research on costs and fees so you know what you need before applying to write the CDL examination. There are ways to cover the CDL costs which start with getting someone to lend you the money or simply saving right from the start. These exams take place every few months which gives you enough time to ensure you have the right money to write the exam. I’ll like to go over some last minute pointers which will definitely make a difference. First, you have to understand writing several exams can be tough which is why it’s important to spread them out. Take all of them with a grain of salt and only write when you are completely ready. Remember it does cost money so protect your investment by making sure you do it right the first time around. Secondly, find out about your medical situation before taking the exams and applying for certificate. Doing so will allow you to save time because you’ll know from the results if you can operate a truck within the United States. Third, speak to trucking companies and schools to find out more about the career. This way you’ll know if it’s right for you and will give you a chance to ask questions close to your heart. 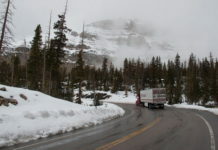 Trucking must be something you want to do in order for you to do it right. Follow the above pointers making sure you are prepared before moving forward.